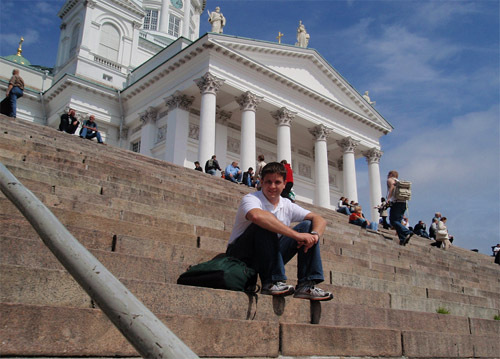 my name is Petr Gregus, I am from Czech Republic, I am studying pharmacy and I was in Estonia for my practice as an exchange student. I spent a very beautiful time and learned lot´s of things about estonian Health care and pharmacy system. Before I leaved Czech Republic I was a little worried about how my practice will be. But when I lended in Tallinn all was OK. Thanks Grete Kadak, who was taking care on me I will never forget this. I came to Estonia in the time , where there were two national holidays. And it was great time and I met some new good friends. I started my work in Marjamõisa Hospital in Tartu. I work under „kliiniline proviisor“ Jana Lass. She showed me how the systém in hospital is working, what did they prepared „ex tempore“, also about laws. She also provided for me excursions to oncological centre in regional hospital in Tallinn, where Kristjan Kongi showed how they prepared cytostatics medicine and I learned rules about them and whole work, and also Jana provided for me excursion to Pharmaceutical Institute in Tartu, so I have seen ,where students of pharmacy in Estonia are learning in laboratories and I also met Prof. Peep Veski – head of the Department of Pharmacy. I also visited Children´s clinic and second part of the pharmacy there. I enjoyed work in hospital, I liked morning visits patiens with doctors in traumatology and orthopedy and then in cardiology, and controling of medication and pain contol of patiens. 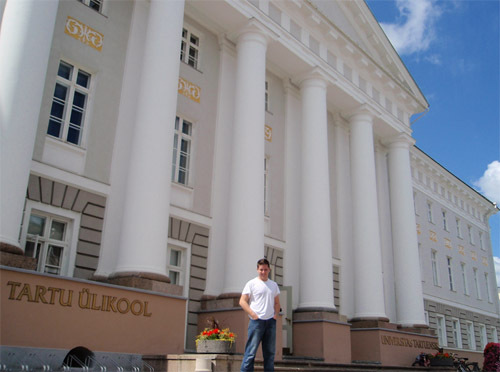 My second part of my practice was in communal pharmacy- Tartu Ülikooli Kesklinna Apteek. There I learned also lot´s of things thanks to proviisor Anne Viidalepp. Also whole stuff in hospital and in this pharmacy was great. I am thinking I got all informations about the Pharmaceutical and Health care in Estonia. In this communal pharmacy I was working with medicines, contol the goods from wholesales companiest and put them all in right place in the pharmacy, learned more about veterinary medicines, about the prescription in Estonia, also I was working in the laboratory. Also I have celebrating birthdays in hospital and pharmacy with colleagues. I liked working the Kesklinna Apteek also, I liked that it is very big pharmacy and also how they are taking pharmaceutical care to the patiens, giving advices and helping. For better conception about diseases so I and Grete and one friend have visiting Medical museum in Tartu. I also discovering some places in Estonia, Latvia and Finland. 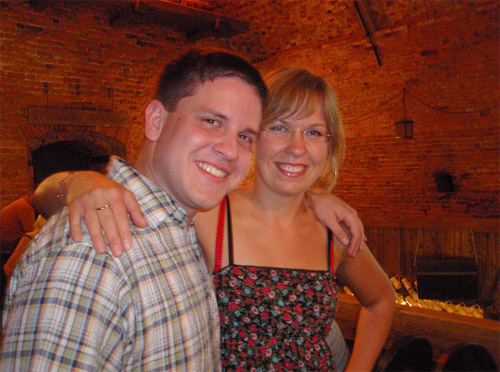 I am recommending Estonia to everybody to go there – nice country, nice people, nice work. I hope to get there again and again. Thanks for this chance to be part of it. Tere, I am Maja from Slovenia. 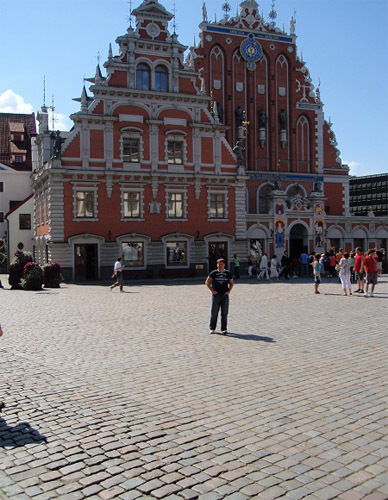 I was in Estonia on SEP practice in July 2015. I chose Estonia because it was quite unknown to me. I also read great article about SEP practice there. When I came to Estonia I knew that an amazing experience was waiting on me. And I wasn’t wrong! I had practice for 14 days. 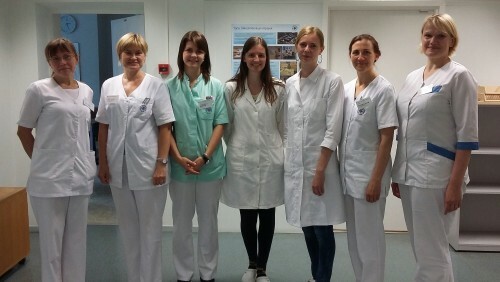 I was working in The Hospital Pharmacy of the Clinics of Tartu University. It was really unforgettable! In hospital I was preparing powders, solutions, ointments… I also saw oncologic department of the hospital. Almost every day I got clinical problem and I tried to solve it. Latter we discussed about it with my mentor. Team in hospital was amazing. They really took time for me and told me everything I was interested in. They showed me aseptic preparation and explained to me the system of hospital pharmacy in Estonia. The social program was great too. Estonian students really took care of us. They organized a lot of different events and activities for us: adventure park, sauna evening, Taevaskoja, guided tour in Tallinn, visiting faculty of pharmacy… I never got bored there. I was discovering some places in Estonia too. I was in Pärnu, Tallinn and Viljandi. I need to say that Estonia is really beautiful! At the same time two girls were there in SEP practise: from Poland and from Slovakia. It was really pleasure to meet them and all these Estonian students. I really enjoyed my SEP practice. I definitely recommend it! Why? Because Estonia simply inspires! Thanks again for exciting memories! I am happy that I was a part of this story.